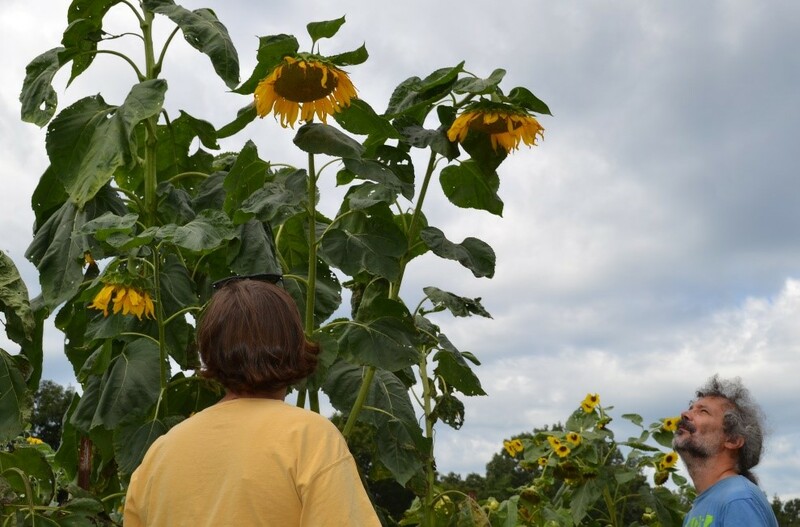 On August 22, 2018, staff from Monticello’s Center for Historic Plants visited Southern Exposure Seed Exchange (SESE), a founder and host of the Heritage Harvest Festival and the site where many of the delicious vegetables and fruits are grown for the festival’s Tasting Tent. 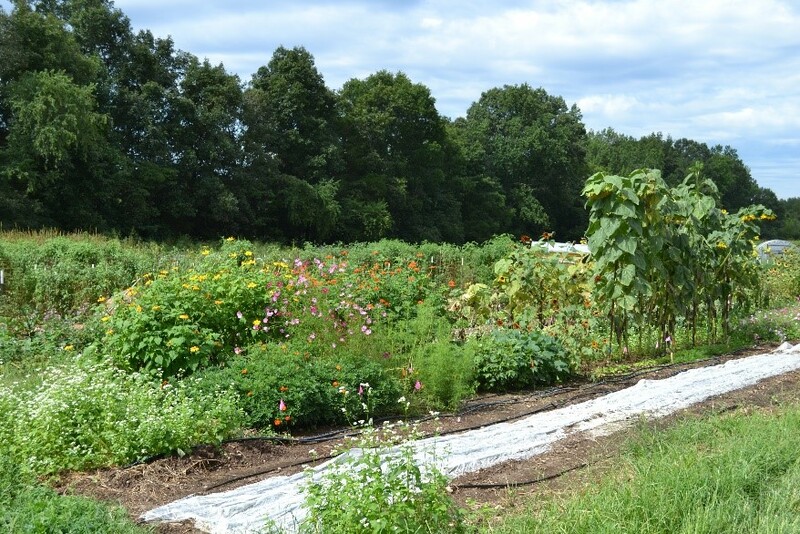 SESE is located on 72 acres in Mineral, Virginia, on an intentional community run by residents of the Acorn Community. Since its founding in 1982, SESE has expanded to include more than 800 varieties of vegetables, flowers, herbs, grains and cover crop seeds. 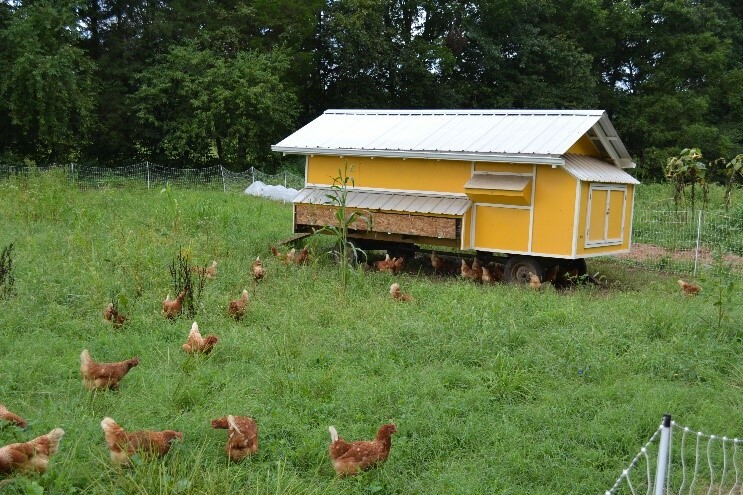 On their home farm, they conduct trials to evaluate performance of both new and old crops, and have developed a strong association with tomatoes, collard greens, okra, beans, peanuts and other crops suited for growing in the Southeast and Mid-Atlantic regions. 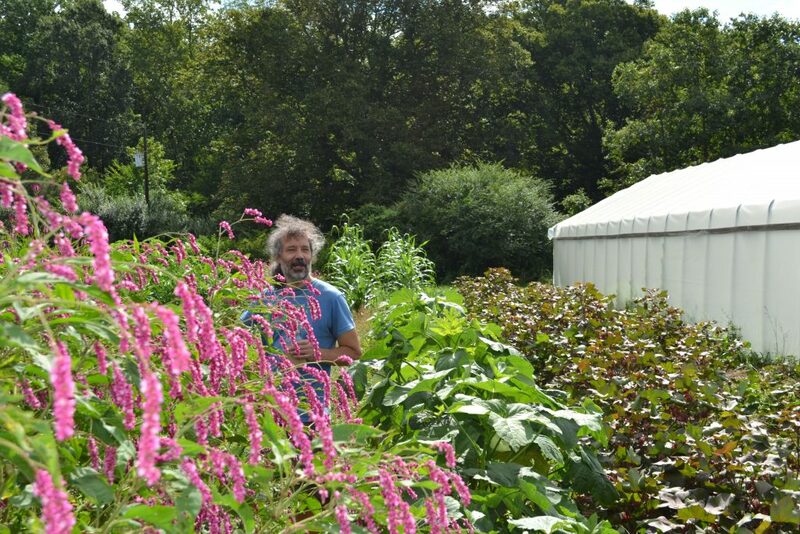 SESE has had a close relationship with Monticello for many years, especially through Ira Wallace, a founding member of the Acorn Community and worker/owner of Southern Exposure Seed Exchange. In fact, Ira is credited with helping to found Monticello’s Heritage Harvest Festival and has contributed many hours on the organizing committee, as a presenter and guest blogger for HHF. Besides the exchange of ideas, CHP staff visited SESE to observe and learn more about how the worker/owners manage their seed business and fulfill several thousand orders each year. As we work in the upcoming years to restore farming to Monticello, we are also planning on procuring seeds selected for disease resistance and ideal growth in southern environments from SESE and other partners. 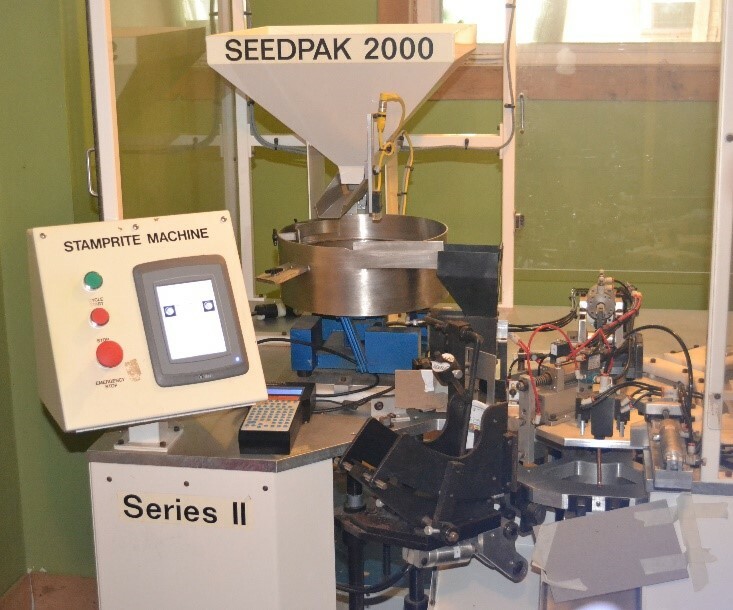 Our tour ended with a look at SESE’s mighty robot seed packager. Together with their seed cleaning equipment and packet printer, the worker/owners of SESE process millions of seeds each year, destined for gardeners and gardens throughout the U.S., Canada and Mexico. Special thanks to Ken Bezilla, Irena Hollowell, Ira Wallace and the crew at Southern Exposure Seed Exchange for their hospitality!